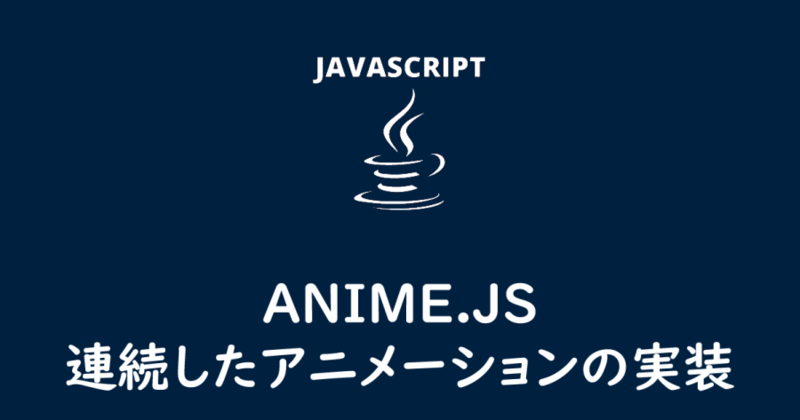 See the Pen ANIME.JS Continuous Animation（delay） by yochans (@yochans) on CodePen. See the Pen ANIME.JS Continuous Animation Keyframes by yochans (@yochans) on CodePen. See the Pen ANIME.JS Continuous Animation Timeline by yochans (@yochans) on CodePen.